Click image to enlarge St. Cloud Wayside, Washington. The Columbia River and the Oneonta region are in the background. Image taken April 22, 2006. The area of Washington State's St. 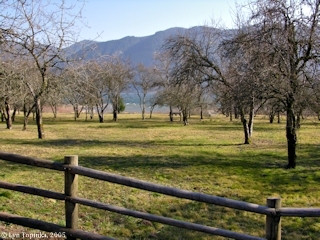 Cloud Wayside was acquired by the U.S. Forest Service in 1990, with the area being developed in 1994. Formerly this was the site of the old St. Cloud Ranch homestead. It is possibly the largest remaining natural wetland in the Gorge, providing habitat for an extensive variety of wildlife. The site is culturally significant to American Indians - the nearby Watlala Tribe utilized the many plant and animal resources on the St. Cloud site. 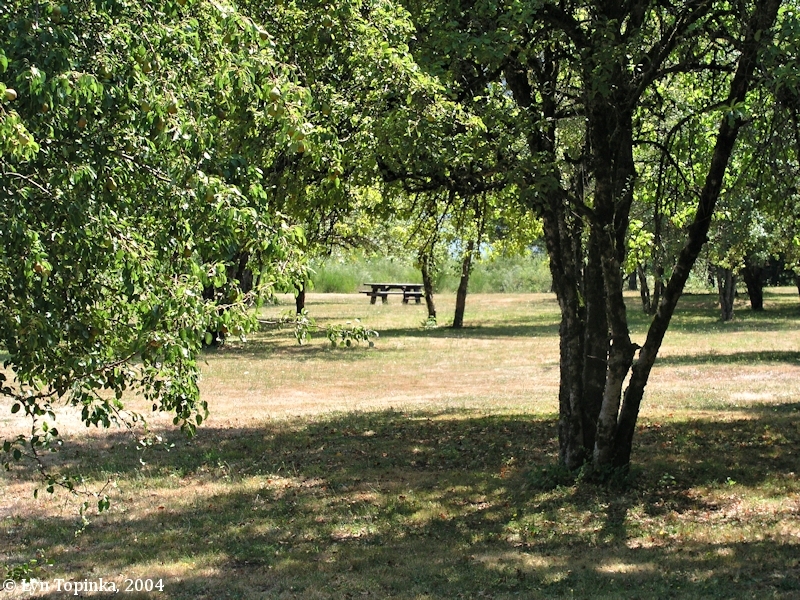 The open meadow offers views across the river to the Oneonta Bluffs area and Multnomah Falls, and the old orchard provides shady picnic areas. St. 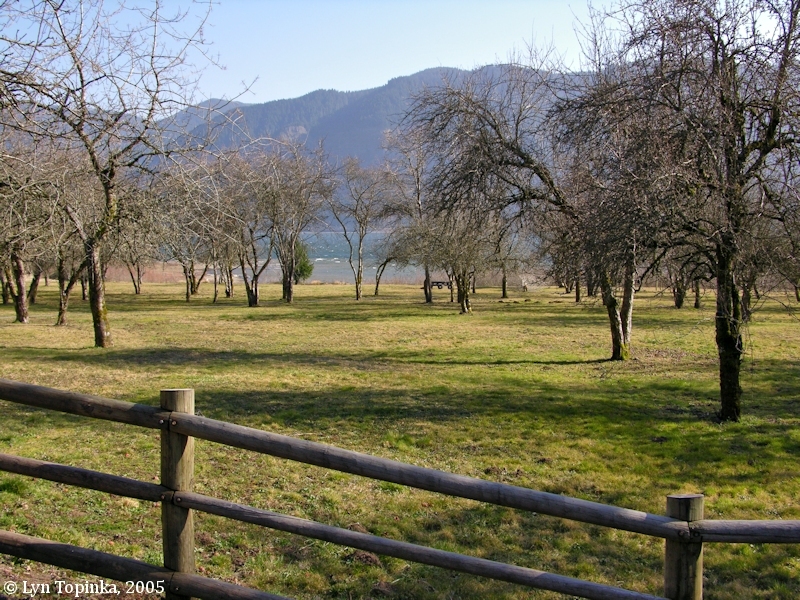 Cloud wayside is accessible from Washington State Highway 14, just west of milepost 30 near the communities of Skamania and Skamania Landing. 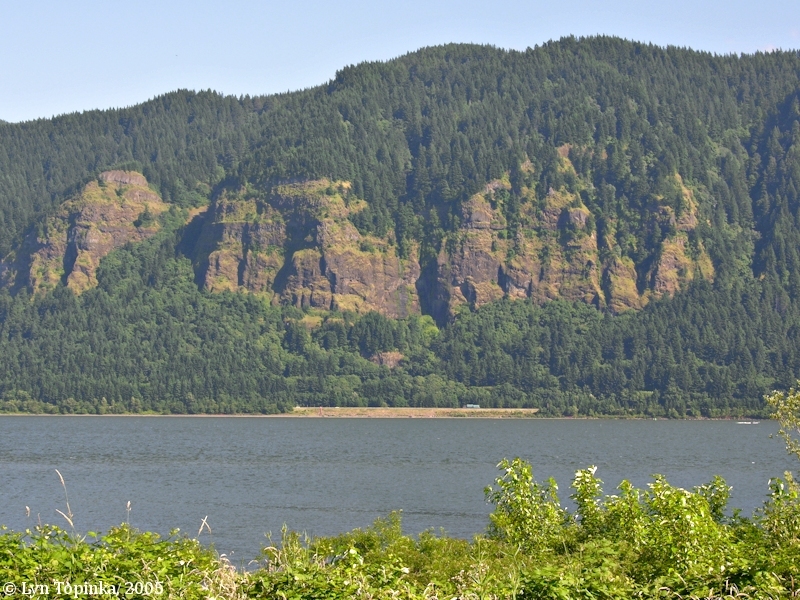 One mile upstream is the viewpoint for Franz Lake National Wildlife Refuge, and approximately five miles upstream is Beacon Rock. The U.S. Forest Service's St. Cloud Trail #4410 is a footpath less than a mile long, meandering through St. 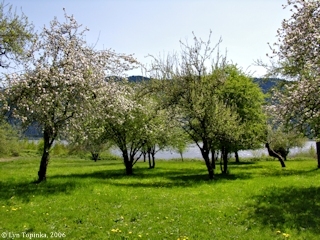 Cloud's historic apple orchard. 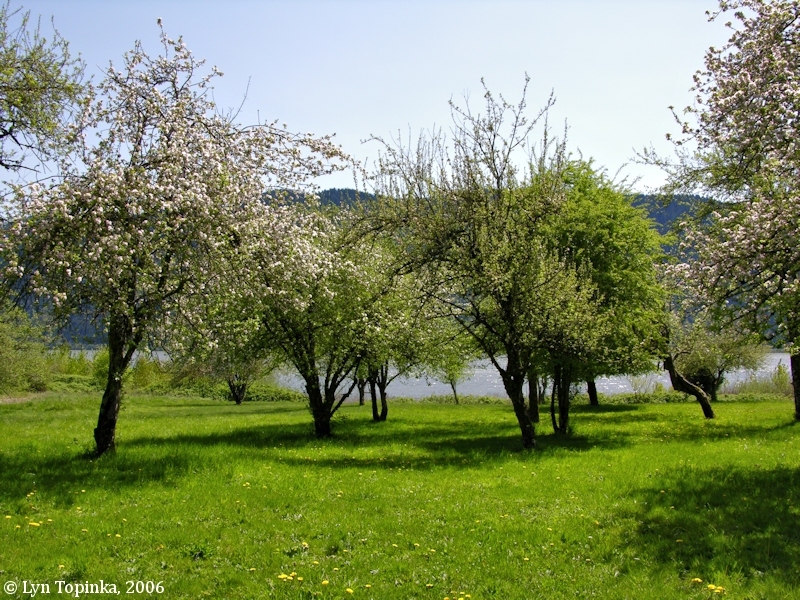 "The apple orchard of Spitzenberg and Newtown-Pippin was planted before the turn of the century. 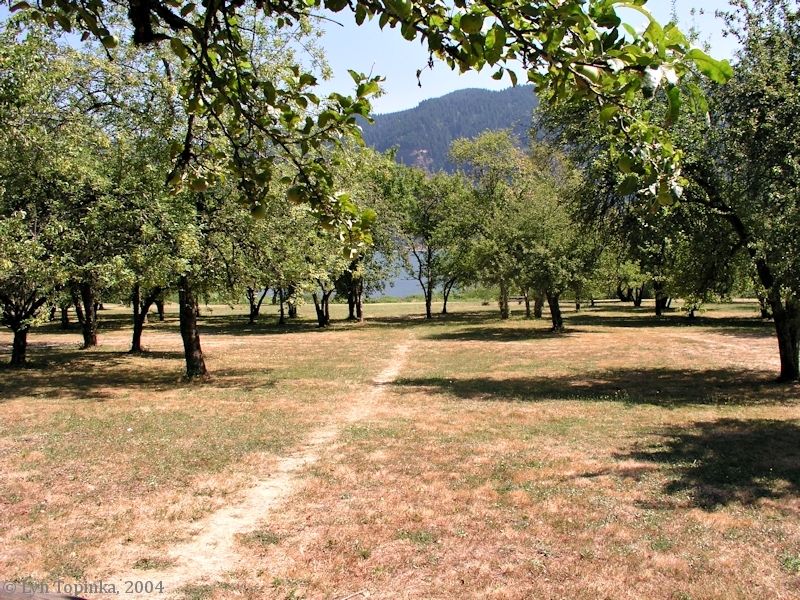 The orchard trees provided a food source. Most were for personal use, and some were also sold at local markets. History: The Farm was occupied by a succession of owners from 1871 and 1984. Paul J. and Florence Vial bought the property in 1909. From 1909 to the 1950s, St. 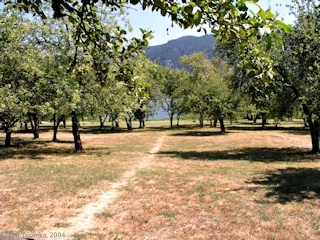 Cloud Ranch was the summer home of the Vial family and boasted tennis courts, a swimming pool, boat dock and manicured grounds. Paul and Florence named their beloved home "St. Cloud Ranch" for the suburb of Paris, France where they spent their 1903 honeymoon and early married years. 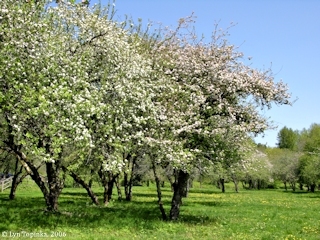 Today only the orchard hints of St. Cloud's cultivated past." 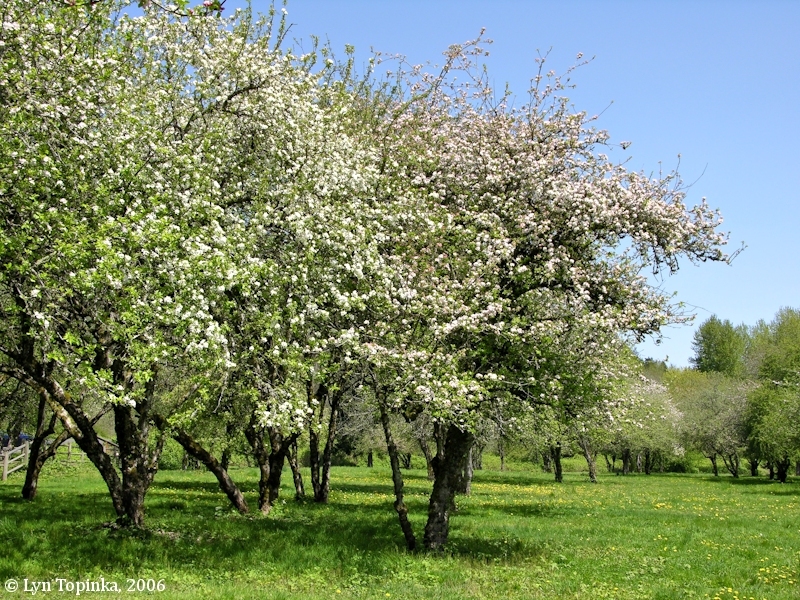 Source: Washington State Univeristy Extension website, 2015, "WSU Vancouver Heritage Orchard". 58 Hikers Get Fine View of Columbia From the Summit. "Fifty-eight Mazamas traveled over the North Bank road to St. Cloud Ranch, a point between Prindle and Butler, Wash., for their Sunday trip yesterday. From the ranch they ascended a canyon and thence to Archer Mountain, from whose summit many fine views up and down the Columbia were obtained. The party then returned to the railway and took the local train for Portland. ..."
Source: "Morning Oregonian", May 4, 1914, Historic Oregon Newspaper Archives, University of Oregon Libraries, 2016. Click image to enlarge St. Cloud Wayside, Washington. 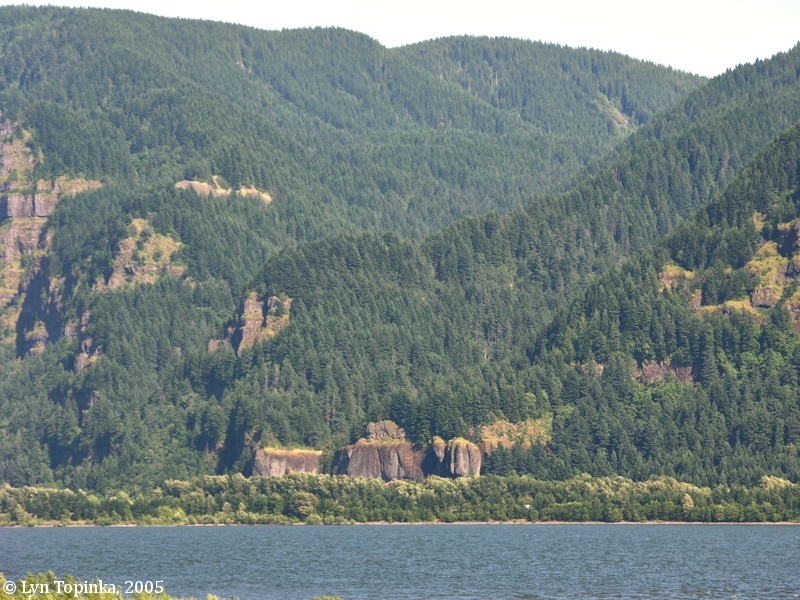 The Columbia River and the Oneonta region are in the background. Image taken February 26, 2005. Click image to enlarge St. Cloud Wayside, Washington. The Columbia River and the Oneonta region are in the background. Image taken August 1, 2004. Click image to enlarge St. Cloud Wayside, Washington. Image taken April 22, 2006. Washington State's St. 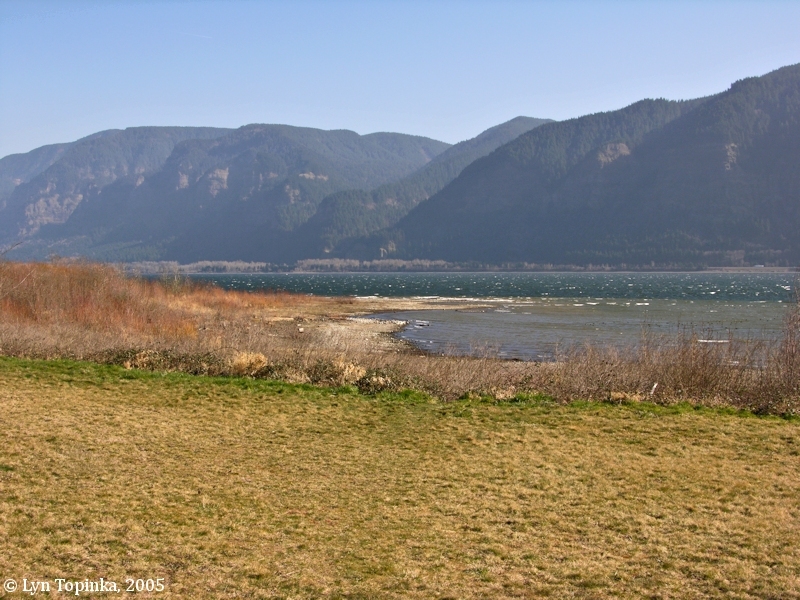 Cloud Wayside provides excellent views of the Oregon side of the Columbia River Gorge. 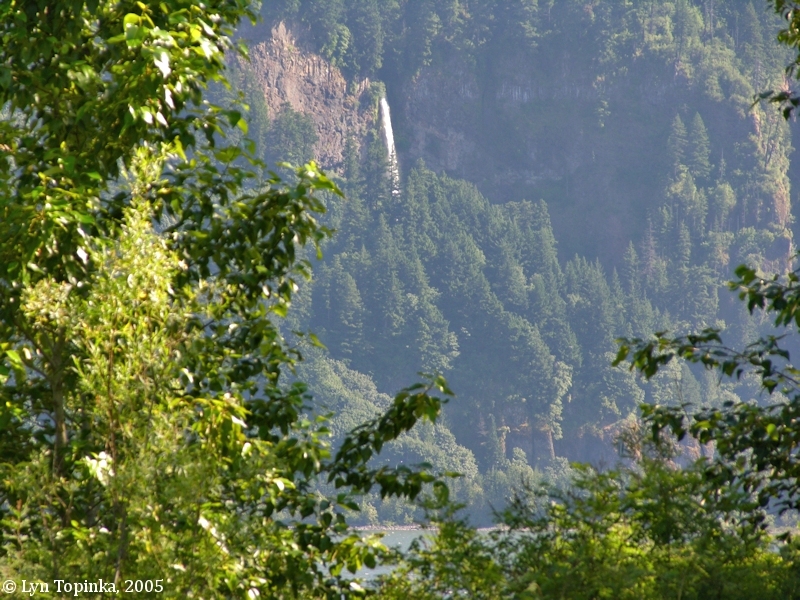 The Oneonta Bluffs are upstream and Multnomah Falls is downstream. 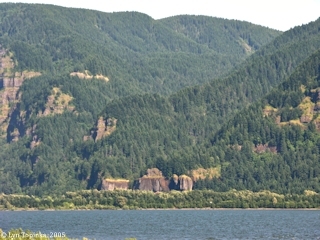 Click image to enlarge Oneonta Bluffs, as seen from St. Cloud Wayside, Washington. Image taken June 29, 2005. 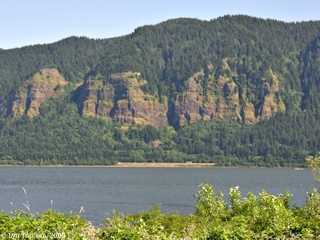 Click image to enlarge Columbia River Gorge, Oregon side, as seen from St. Cloud Wayside, Washington. Image taken June 29, 2005. 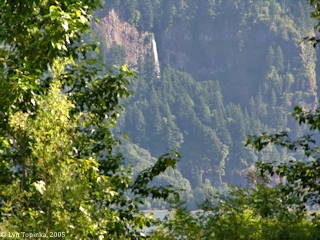 Click image to enlarge Multnomah Falls, Oregon, as seen from St. Cloud Wayside, Washington. Image taken June 29, 2005. Click image to enlarge Columbia River and Oregon, from the St. Cloud Wayside, Washington. Image taken February 26, 2005.